Lucky themes has been purchased 28, rating: 4/5 based on 4 reviews. Developed based on modern technologies such as CSS 3, HTML 5 and Sass CSS, Lucky promises to bring the best experience for your customers. Lucky Shopify theme is a beautiful and eye-catching design that is easy to attract customers at first sight. In addition, it comes with tons of powerful modules like SEO, Mega Menu, Revolution Slider, Slideshow, Ajax, Google snippets, Google web fonts, etc and includes a flexible control panel. 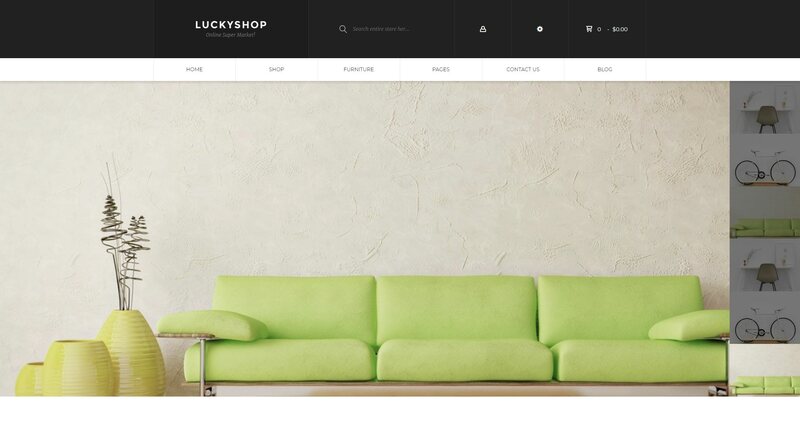 If you are looking for a great theme for your e-commerce store, don’t miss Lucky Shopify theme.